K-9 Lifesavers is an all-volunteer, approved 501(c)(3), private non-profit rescue group, dedicated to saving the lives of homeless and abandoned dogs from high-kill shelters, and other high-risk situations. We rescue dogs and puppies from high- kill shelters and high-risk situations in Alabama, Georgia, West Virginia, the Carolina’s, Tennessee, and Kentucky, where dogs are only held anywhere from three to seven days before euthanasia. We do not have a shelter facility and hold adoption events every weekend, throughout the DC Metro area. K-9 Lifesavers works with dedicated volunteer foster homes, local veterinarians, trainers, and doggie daycare/kenneling facilities to provide loving temporary care while we find well-matched, carefully screened forever homes for each dog. We spay and neuter all dogs over 6 months. We serve as a support group to our adopters and all dog owners by providing ongoing education and resources for the well-being of their dogs, including the importance of proactive spay/neuter policies, positive reinforcement training, and good nutrition. We welcome you to explore our website, view our Adoptable Dogs, and all that we have to offer, then please join us in our continuing efforts to give them a second chance at life. Where does K-9 get their dogs? K-9 Lifesavers pulls dogs from low-income rural areas, where hundreds of highly-adoptable dogs are euthanized every week due to overpopulation, lack of spay/neuter education, and inadequate funding. With the help of our dedicated volunteers, transporters, shelter partners, and donors, K-9 Lifesavers saves lives “Four Paws at a Time”. Where does K-9 Lifesavers house their dogs? K-9 Lifesavers relies on volunteer foster homes and our partner boarding facilities to provide temporary care for our dogs. The more volunteer foster homes we have, the more dogs we can save, as it reduces our boarding fees. How does K-9 transport their dogs to the area? We have partners who drive the K-9 Dogs all the way from their rural shelters to the DC area. A portion of each adoption fee goes towards the cost of transport. What are K-9 Lifesavers adoption fees? Our adoption fees are set based on the age of the dog, and whether the dog was treated for heartworm. 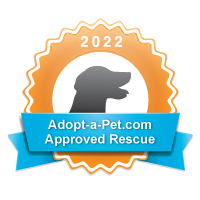 The adoption process begins when you send an Adoption Questionnaire to the contact listed in the dog’s website profile. This can also happen when an adoption application is turned in at an adoption event. The contact, which we call the “Adoption Counselor,” will then set up a time to review your application. This interview takes place over the phone and we discuss our adoption policies, what characteristics you are looking for in a dog, how much time do you have to devote to training and exercise, and basic vetting requirements for a dog. We want to ensure a good fit between the dog and potential home. In some cases, we may feel a dog is not a good fit for your environment, and we will help you to find another dog that will be a good match. Our goal during this interview process is a two-way exchange of information, to ensure a permanent placement of our rescue dogs. Our AC will then contact your landlord, condo association to confirm there are no pet restrictions (breed, size/weight, number of dogs) and contact other references provided. The AC will then setup a home visit and we require that everyone who lives in the home be present for the visit. We conduct the home visit to ensure a safe environment and to ensure everyone in the household is on-board with adopting a dog. Do you adopt out of the DC Metro Area? Yes. As long as we can arrange to have a home visit done and you agree to come here to pick up the dog, we can adopt out of our area. However, priority will be given to local adopters – especially with puppies. If I live in a single family home, is a fenced-in yard required? No, but for some of the higher energy dogs, we will discuss your plan for sufficient potty breaks and proper exercise. We realize there are many resources for dog owners in this area, where a fence is not required. However, be prepared to walk a dog anywhere from 3-4 times/day, for at least 20-30 minutes. We also realize different dogs have different exercise requirements, and the interview process will ensure a right fit between the dog and adopter. Do you adopt to renters? Yes. We will need verification from your landlord stating you are allowed to have a dog, and we verify if there are any size restrictions and breed restrictions. What happens if there is more than one applicant for the dog? We try our very best to find the best home for our dogs, and a good match between the dog’s personality and the adopters environment. The first criteria is to ensure a good fit, and to ensure an adopter can provide proper exercise and care of the dog. We try to be as open and honest about the selection process as we can. If the dog I like is adopted, will you help me find a different one? Absolutely. If the dog you originally apply for gets adopted, we will help you find a great match for your family. There is no need to reapply or to start the process over again. Do you know the exact breed of your dogs? Unfortunately, because our dogs turn up at rural shelters without full histories, we cannot guarantee a dog’s breed. We usually have no idea who the parents are, although sometimes we know the mom of our puppies. We make an educated case based on size, coloring, and physical characteristics. Do you know how big your puppies will get? While we cannot guarantee the size of a puppy, we make an educated guess based on the puppy’s current size, current age, and the estimated breed mix. In cases where we know the mom, her size also helps in guessing on the size of the puppy. K-9 is proud to help in controlling the pet population by having our dogs spayed or neutered. All dogs adopted over the age of 6 months are spayed or neutered prior to adoption. All adopters adopting a puppy 6 months of age or younger agree to get their new puppy spayed/neutered as part of the adoption agreement. K-9 Lifesavers does not cover the cost of spay/neuter for puppies 6 months or younger. If I have trouble with my new dog, what should I do? Let us know immediately. We have lots of resources to share with you, including trainers that give discounts to our adopters. Sometimes dogs take a few weeks to settle in and establish a routine. Because we have been doing this a long time, we have probably been through what you are going through. Let us help. What happens if I can no longer keep the dog I adopted? K-9 Lifesavers has a lifetime commitment to each and every one of our dogs. If you cannot keep the dog you have adopted from us, you should let us know immediately, and we will get to work on finding the dog a new, loving home. Perhaps more importantly, if you are experiencing trouble with your dog before you make a decision to re-home, you should let us know. We can provide you the advice and support you need to fix the problems before they get out of control. What exactly does a foster do? A volunteer foster provides temporary care until we find the dog a permanent home. Fosters provide love and support the dog needs in order to acclimate to life in a new home. Fosters are generally responsible for the cost of food and any dog walking expenses. Fosters also play a critical role in the adoption process. Because they know the dogs well, they are in the best position to decide what home is appropriate. If I fall in love with my foster dog, can I keep him/her? Of course. However, if there is a potential adopter in the middle of the screening process, and the home visit has been completed, and they are led to believe they will get the dog, then it is too late. You are welcome to adopt any dog prior to any applications being received. Do fosters pay the dog’s vet expenses? No. K-9 Lifesavers pays for all vetting expenses for our foster dogs. Fosters must first obtain permission to incur the expense and must be treated at one of our partner vets. K-9 Lifesavers will not be responsible for vet care that is not provided at one of our vet partners.